LtGen Flynn has significant operational expertise and proven leadership, management, training and education following a distinguished career of more than 38 years in the U.S. Marine Corps. Years of practical experience and graduate level education in national security and international affairs are reflected in an extensive record across a broad spectrum of defense operations. While on active duty, LtGen Flynn created the Joint Force Development Directorate at the Joint Chiefs of Staff, managing more than 2,000 people and a $1 billion organization that developed new military operational, concepts, doctrine and training. He supervised all elements of the Combatant Commander exercise program, which provides staff training and evaluates the mission performance of the largest military command organization in the United States. He also developed policy for and provided oversight of all professional military education. As Deputy Commandant of the Marine Corps for Combat Development and Integration, LtGen Flynn determined future requirements for all equipment, training, personnel, facilities, and supporting activities of the Marine Corps. His role as the Deputy Commanding General, Multi-National Corps, Iraq, involved leading combat operations and providing direct supervision of support activities of more than 50,000 service members and civilians, while conducting operational planning and execution to enable coalition operations, including extensive interaction with United Kingdom and Coalition Special Operations Forces. LtGen Flynn supervised and provided oversight, policy and guidance for Marine Corps training as the Commanding General, Marine Corps Training and Education Command. As Chief of Staff, U.S. Special Operations Command, LtGen Flynn supervised all support requirements for a 2,000-person organization, responsible for the planning, direction and financial execution of the headquarters. He is a member of the Council on Foreign Relations and has several Masters Degrees in National Security and Strategy, and International Relations. 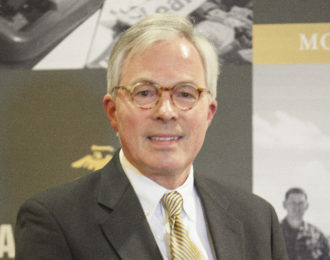 Jay S. Holmes joined the Board in 2012. He serves as the Chairman of the Audit and Investment committees. He also serves on the Executive Committee. Mr. Holmes graduated from West Virginia Wesleyan College with a degree in economics and history. He was commissioned a Second Lieutenant in 1968 and served in Vietnam with the Third Battalion, 5th Marines as a forward observer. From 1970-71 he was an artillery instructor at Schools Demonstration Troops and The Basic School at Quantico. 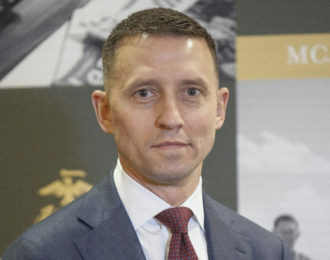 Holmes credits the Marine Corps’ unique culture and superior leadership experience as a major contributing factor to his successful business career in the commercial finance industry. An accomplished business executive for nearly 40 years, Mr. Holmes spent the last six years of his career serving as Chairman, President and Chief Executive Officer of a multi-billion dollar commercial finance institution. Since retirement he remains active in various organizations, including the Atlanta Civil War Round Table, the Atlanta World War II Round Table, U.S. Naval Institute and the Friends of Gettysburg. He holds life memberships in the Marine Corps League, Military Order of the Purple Heart, Disabled American Veterans, National Rifle Association, American Legion, and the Veterans of Foreign Wars. Mr. Holmes enjoys physical fitness, sports, military history, and competition pistol shooting. He and his wife of over 40 years, Cori, are “empty nesters” and have three grown children. They reside in Knoxville Tennessee. Lieutenant General William M. “Mark” Faulkner is the President and Chief Executive Officer of the Marine Corps Association & Foundation. Lieutenant General Faulkner served as the Deputy Commandant for Installations and Logistics prior to his retirement in 2015. He previously served as the Vice Director, J-4, Joint Staff. He commanded both 2d and 3d Marine Logistics Groups and served as the Chief of Staff, 2d Marine Logistics Group (Forward) in support of Operation Iraqi Freedom 06-08. A graduate of East Carolina University, Lieutenant General Faulkner was commissioned in 1982 and initially served as an infantry officer with 1st Battalion, 6th Marines. After receiving a lateral move to the logistics operational field, he served as a logistics officer at all levels to include command of Combat Logistics Regiment 27 and MEU Service Support Group 26 during Operation Enduring Freedom. Lieutenant General Faulkner also served with Marine Air Group 24, 1st Marine Expeditionary Brigade and Brigade Service Support Group 4 where he participated in Operation Desert Shield/Desert Storm. He has also served as an action officer at Headquarters Marine Corps, in the Logistics Plans, Policies and Strategic Mobility Division of Installations and Logistics Department. His Joint assignments include duty with the United Nations High Commissioner for Refugees in the former Yugoslavia where he participated in Operation Provide Promise; United States Central Command where he participated in Operations Southern Watch, Desert Fox, and Noble Response; and on the Joint Staff as a Logistics Operations Officer in the National Military Command Center. General Faulkner has earned master’s degrees in Business from Chaminade University and in National Resource Strategy from the Industrial College of the Armed Forces. 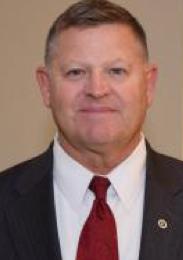 He is an Executive Fellow for the Institute for Defense and Business in Chapel Hill, North Carolina, and supported the Marine Air Ground Task Force Staff Training Program as a senior mentor following retirement from the Marine Corps until accepting the Marine Corps Association & Foundation position. Lieutenant General John ‘Jocko’ Toolan Jr served as the Commander, Marine Forces Pacific, from August 2014 until August 2016. He retired from active duty on 1 October 2016. Commissioned in 1976 upon graduation from Fordham University, his first assignment was as an infantry platoon commander with 1st Battalion, 9th Marines in Okinawa in 1977. He subsequently served at every command billet in the Infantry, while gaining broad experience in the Joint arena through his service on both the NATO and PACOM staffs. He has extensive background in the Indo/Asia-Pacific region at both strategic policy and operational levels. He also holds a Master’s of Business Administration from National University. From 1989 to 1991, Lieutenant General Toolan served as the operations officer for 2nd Light Armored Infantry Battalion, a role in which he led and planned ground combat operations in support of Operation JUST CAUSE in Panama and Operation DESERT SHIELD DESERT STORM during the liberation of Kuwait. Following a tour serving as the Commanding Officer of 3rd Light Armored Reconnaissance Battalion, Lieutenant General Toolan attended Air Force War College in Montgomery, Alabama, and was subsequently assigned as the Deputy Joint Planning Officer at Supreme Allied Headquarters, Mons, Belgium. In this position, he assumed duties as the Lead Planner for Operation ALLIED FORCE, the liberation of Kosovo, and retrograde operations in Bosnia. Selected to Colonel, he was selected for a training command and then was chosen to serve as the 1st Marine Division Operations Officer for Operation IRAQI FREEDOM I and the “march up” to Baghdad in 2003. Lieutenant General Toolan took command of Regimental Combat Team 1 during combat operations and led the regiment into Baghdad. His regiment returned to Al-Anbar Province, Iraq for Operation IRAQI FREEDOM II in 2004 and led the initial assault into Fallujah. Following regimental command, he was assigned as the Director of the Marine Corps Command and Staff College in Quantico, Virginia. In this role, he led significant changes to the college’s curriculum to emphasize socio-cultural understanding based on his experiences as a commander during combat operations in Iraq. Promoted to Brigadier General in 2006, assigned to Office of the Secretary of Defence as the Principal Director for Asia/Pacific Affairs, this assignment required extensive understanding of the Asia / Pacific region, and an intense travel schedule, that took him throughout the region, interacting with multiple nations. He was a key participant in negotiations for a revised lay down of forces in the Pacific, assistance programs for the Philippines, and many other initiatives. Selected as Deputy Commander, United States Forces Japan from 2008 to 2010. This tour capitalized on his relationships he had built in the Pacific especially Japan. He was promoted to Major General in 2009. In July 2010, Lieutenant General Toolan was assigned as the Commander of the 2nd Marine Division. In March 2011, he deployed on Operation ENDURING FREEDOM, as the Commanding General, II Marine Expeditionary Force (Forward) to Helmand Province, Afghanistan in the role of Commander, Regional Command (South West) A NATO JOINT command until March 2012. In September 2012, Lieutenant General Toolan was promoted to his current rank and assumed command of the I Marine Expeditionary Force the largest fighting force in the Corps. Lieutenant General Toolan assumed command of Marine Forces, Pacific in August of 2014. Boards, Advisory and other positions: Senior Member—Marine Corps General Officers’ Executive Conference; Senior Mentor—Marine Staff Training Program; Member—National Association Corporate Directors. Brigadier General Composto retired from active duty on January 1, 2004, following his assignment as the Commanding General, Marine Corps Base, Quantico, VA.
Brigadier General Composto was commissioned via the Marine Corps PLC program at St. John’s University, New York, NY, in June 1971. Receiving his B.A. degree in history, Brigadier General Composto also earned a J.D. degree from St. John’s University Law School (1974); and a M.A. degree in National Security and Strategic Studies from the Naval War College, Newport, RI (1991). 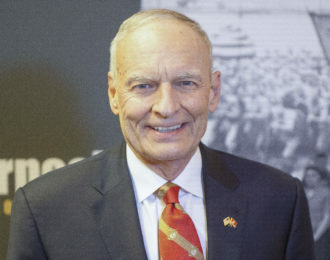 After graduating with honors from both The Basic School, Quantico, VA, and the Naval Justice School, Newport, RI, he was designated a Marine Corps Judge Advocate in October 1975. Following The Basic School, he served with the 3d Marine Aircraft Wing, MCAS, El Toro, CA as a trial counsel, defense counsel, review officer and chief review officer from May 1975 to April 1978. Brigadier General Composto transferred to Okinawa, Japan, where he served as a review officer, trial counsel, and Head, International and Administrative Law Branch. Upon returning from Okinawa, he attended Amphibious Warfare School, Quantico, VA, from August 1979 to May 1980. After graduating, he remained at Quantico where he served in the SJA’s Office until July 1982 as a trial counsel and as head of the Civil Law Branch. Brigadier General Composto was next assigned to the Judge Advocate Division, Headquarters, U.S. Marine Corps, as Assistant Branch Head, Legal Support Branch until April 1985. He was transferred to Officer Candidates School, Quantico, VA, as a company commander until his reassignment in August 1985 as a student at the Marine Corps Command and Staff College, Quantico, VA. In August 1986, he was assigned to 1st Marine Amphibious Brigade, Kaneohe Bay, HI, as Deputy Staff Judge Advocate. From June 1987 to May 1989, Brigadier General Composto served as the S-3 officer of Brigade Service Support Group-1, 1st Marine Expeditionary Brigade. In July 1989, he was transferred to 3d Force Service Support Group, Okinawa, Japan, as the Staff Judge Advocate. In August 1990, he attended the Naval War College, Newport, RI, graduating with distinction in June 1991. 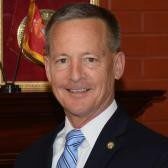 From July 1991 to August 1994, he was assigned to the Judge Advocate Division, Headquarters, U.S. Marine Corps as the head of the Research and Civil Law Branch, and then as Deputy Director. From August 1994 to May 1995 he served as the Head of the Appellate Government Division of the Navy and Marine Corps Appellate Review Activity, Washington, D.C. From June 1995 until July 1996, Brigadier General Composto served as the Commanding Officer, Marine Barracks, Ground Defense/Security Force, Guantanamo Bay, Cuba. He then served as the Deputy Director, Judge Advocate Division, Headquarters, U.S. Marine Corps, from August 1996 until September 1, 1999, when he was promoted to the grade of brigadier general. Brigadier General Composto’s first assignment as a general officer was as the Staff Judge Advocate to the Commandant of the Marine Corps, from September 1999 until June 2001. On June 21, 2001, he was assigned as the Commanding General, Marine Corps Base, Quantico, VA, where he served until August 22, 2003. Brigadier General Composto retired from active duty on January 1, 2004, and entered the Federal Government Senior Executive Service. He is presently serving as the Director of Security and Installation Operations Directorate of the National Geospatial-Intelligence Agency. 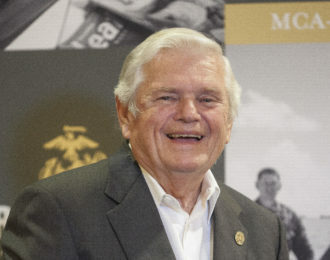 His medals and decorations include: Distinguished Service Medal; Legion of Merit with gold star in lieu of second award; Meritorious Service Medal with gold star in lieu of second award, Meritorious Civilian Service Medal; Navy and Marine Corps Commendation Medal; Navy and Marine Corps Achievement Medal; Humanitarian Service Medal, and the National Defense Service Medal. 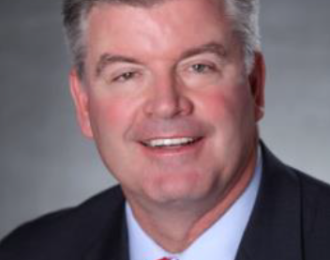 Chris Davis is president of Raytheon International, Incorporated (RII), the international sales and marketing arm of Raytheon Company. Raytheon Company (NYSE: RTN) with 2016 sales of $24 billion and 63,000 employees worldwide, is a technology and innovation leader specializing in defense, civil government and cybersecurity solutions. Raytheon is headquartered in Waltham, Massachusetts. As president of RII, Davis is responsible for the company’s sales and marketing efforts in more than 80 nations worldwide. He is leading the RII team to achieve top-line growth through focus on global growth, enterprise collaboration and competitive advantage. International business has accounted for roughly 27 percent of Raytheon’s total sales. 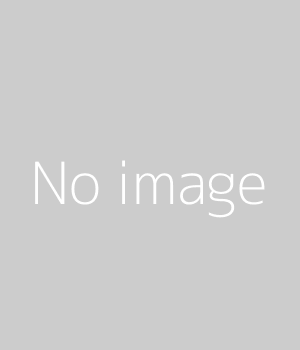 The company maintains international sales and consultant offices in Europe, Asia, Africa, North America, and South America and has operations outside the U.S. in Australia, Europe and Canada. 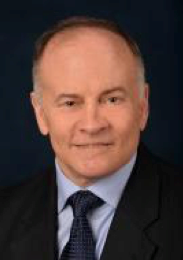 Previously, Davis served as Raytheon’s Country Leader for the United Arab Emirates (UAE), where he was responsible for executing an integrated, companywide engagement strategy for the UAE based on collaboration, and deep customer intimacy. His customer engagement and collaboration responsibilities included contract execution, offset dialogues and integrated pipeline development and execution. 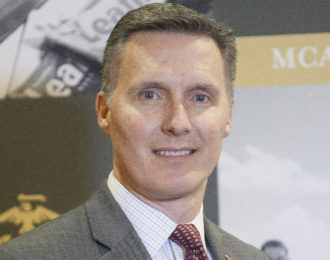 A retired United States Marine Corps officer and aviator, Davis joined Raytheon Missile Systems (RMS) in 2006 after a 20-year military career, and after two years assisting the UAE president of the Abu Dhabi Chamber of Commerce with that chamber’s aerospace and defense portfolio. As RMS’ director of Middle East Business Development, Davis was responsible for sales and marketing in 10 Middle East and North Africa (MENA) countries, and significantly participated in more than $1.4 billion of successful capture efforts. While in the military, Davis lived for three years in Japan, and was a finalist for the Council on Foreign Relations’ International Affairs Fellow Japan. He is a combat aviator with over 2,000 flight hours in both rotary and fixed-wing (fighter) aircraft. Davis holds a bachelor’s degree in industrial economics from Union College in Schenectady New York, and a master’s degree in security studies from the Marine Corps University. I have been in the construction, development and management business for the past 32 years. My experience has allowed me to be involved in all phases of each project fcom start to finish. The main focus for many years was commercial interior construction, which evolved into a new phase of construction of building very high end residential homes. In the past 16 years, I have developed and redeveloped manufactured housing communities. My portfolio currently includes 4 communities that are owned by my companies. The most current project has been Cottage Gardens Development. This project was taken from raw land to a total turnkey development for homebuyers. This project serves the need for affordable housing for many first time homebuyers, as well as general people looking for quality homes at affordable prices. Our developing has allowed us to create InLine Utilities, which supplies water and sewer services to our developments and adjoining properties. The Cottage Gardens project was nominated 2 years in a row for the “Best Manufactured Housing Community in the United States. Cottage Gardens is a 570 lot subdivision built and owned by my company and Sugarbercy Place Phase I is a 400 lot subdivision built by my company and sold to real estate investors. These developments are valued at approximately $84,000,000.00. Cottage Gardens and Sugarberry Place as well as adjoining properties are serviced with water and sewer utilities by my company Inline Utilities. At the present time we are purchasing resort property in the Dominican Republic and are exploring and investigating the needs for a Retirement Community and a Christian Camp for children. LtCol Alex Henegar served on active duty for six years and has spent the rest of his career leading Marines in the Marine Corps Reserve. He is a Combat Engineer Officer, Civil Affairs Officer, and Foreign Area Officer. He deployed to the Mediterranean Sea on a Marine Expeditionary Unit; served in Kosovo and Iraq attached to infantry battalions; supported security cooperation at Embassies Zagreb and Paris; and trained with partner nations in the Middle East, Africa, Southeast Asia, and Europe. 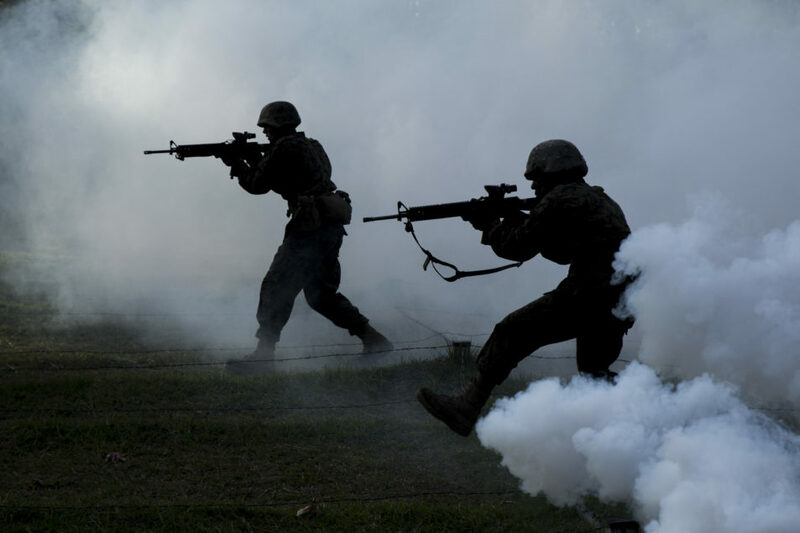 He was the Operations Officer and Executive Officer of 4th Reconnaissance Battalion, and he currently commands 4th Combat Engineer Battalion, 4th Marine Division, in Baltimore, Maryland. Alex left active duty to continue government service as a commissioned Foreign Service Officer in the U.S. Department of State. As a diplomat, he advanced U.S. interests related to political, economic and consular affairs in Bosnia-Herzegovina, Afghanistan and the Dominican Republic. He recently served as Director of the Office of Near Eastern Affairs, covering the Middle East and North Africa, in the Bureau of Conflict and Stabilization Operations. He is currently serving in the State Department’s Operations Center in Washington. Alex received a B.A. from the University of Virginia and an M.A. from Georgetown University. He is a graduate of the Marine Corps Expeditionary Warfare School and Command and Staff College. He speaks Serbo-Croatian, Spanish, Dari (Afghan Persian), and limited French. A native of Tennessee, he is married with two daughters. He joined the MCAF Board of Directors in 2017. 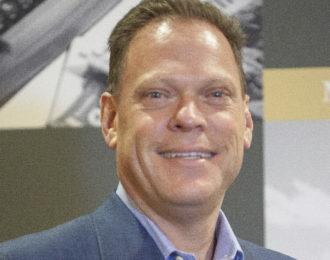 Kurt Chapman joined the Board of Directors in 2016. He currently sits on the Executive Committee and serves as the Chairman of the Development Committee. Mr. Chapman recently retired after a 29 year career as a crude oil trader having worked with several prominent companies including Sempra Energy Trading, Koch Supply and Trading and Elf (now Total) Trading. For the past 12 years he ran the international crude oil business for Mercuria Energy Trading in Geneva, Switzerland. Mercuria is one of the top five private energy trading companies in the world and acquired JP Morgan’s commodity business in 2014. 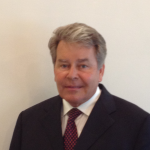 Mr. Chapman earned his bachelor of arts degree in economics from Harvard University in 1985. He was commissioned a second lieutenant in the United States Marine Corps upon completion of the Navy Reserve Officer Training Corps program at the Massachusetts Institute of Technology. He joined Second Battalion, Ninth Marines, commanding an infantry platoon, anti-armor platoon and serving as battalion adjutant. Mr. Chapman resigned his commission after 4 years of active duty accepting a position at Morgan Stanley investment bank in New York City to pursue commodities trading. 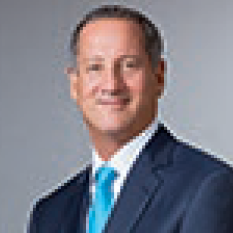 David P. Storch is Chairman of the Board for AAR, a leading provider of aviation services for commercial and government customers in more than 100 countries. Storch joined AAR in 1979 with responsibility for developing the Company’s aircraft engine business. Through his leadership and industry expertise, the business flourished and, in 1987, Storch was named President of the AAR Trading Group. He went on to become President and Chief Operating Officer in 1989, and then Chief Executive Officer—the second since the Company was incorporated in 1955—from 1996 until his retirement on May 31, 2018. Storch assumed the additional post of Chairman of AAR in October 2005. Under his leadership, AAR was twice named One of America’s Most Trusted Companies by Forbes magazine. 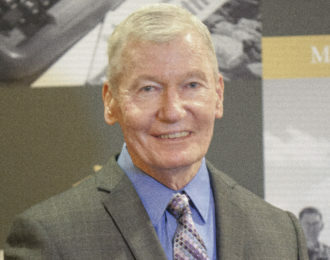 Storch was recognized with an Ernst & Young Entrepreneur of the Year in 2012 and, in 2018, was honored with both a Lifetime Achievement Award from Aviation Week magazine and A Disciplined Life Award for his work with Perspectives Charter Schools in Chicago. Storch serves on the boards of the publicly held companies Kemper Corporation and KapStone Paper and Packaging Corporation. He also serves on the board of the Smithsonian National Air & Space Museum. He is currently a member of the Commercial Club of Chicago and the Economic Club of Chicago. Storch holds a Bachelor of Arts Degree from Ithaca College. Mr. Bob Love is a member of the Senior Executive Service (SES) and is serving as the Chief of Staff to the Under Secretary of the Navy. His previous assignment was as Vice President, Business Development at the Logistics Management Institute (LMI). Prior to joining LMI he founded Daedalus Solutions, LLC, a Service Disabled Veteran Owned Small Business specializing in helping companies understand the international market. He is a proven professional with a record of accomplishments as a Strategist, Logistician, and International Business Leader. 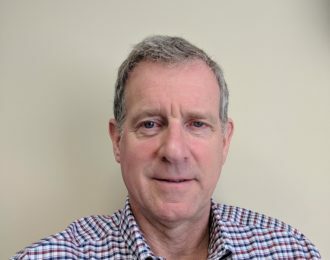 He was the Executive Director, International Campaigns (Support Solutions) BAE Systems, Inc., from March 2010 until July 2014. Mr. Love led the Company’s effort to develop business opportunities in key locations around the world. 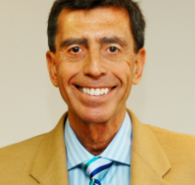 Mr. Love is an Executive Fellow Emeritus for the Institute for Defense and Business (IDB). From 2006 until March 2010 Mr. Love was a member of the SES and served as the Executive Director, Expeditionary Business in the Task Force to Improve Business and Stability Operations (TFBSO), Office of the Secretary of Defense. TFBSO worked in close cooperation with various agencies, the international business community, non-government organizations, and local governments (Middle East, Afghanistan, & Sub Saharan Africa). Mr. Love was directly involved with foreign direct investment, value chain integration, and industrial revitalization. The Secretary of Defense, Robert Gates, awarded Mr. Love the Secretary of Defense Award for Outstanding Public Service, the Department of Defense’s (DoDs) second highest civilian award, for his work with TFBSO. From October 2005 until June 2006 Mr. Love served as the Director, War fighter Support Office (WSO), Business Transformation Agency (BTA). He was instrumental in the establishment of the BTA and WSO. In this role, Mr. Love worked across the DoD, Secretariat, Service, and Combatant Commands to evaluate business enterprise processes and associated systems affecting contracting, logistics, fund distribution, financial management in order to align to the theater commanders needs. Mr. Love retired as a Colonel in the United States Marine Corps in August 2004. Colonel Love’s career included a variety of command & staff assignments to include command of a Marine Wing Support Squadron and a Combat Logistics Battalion. 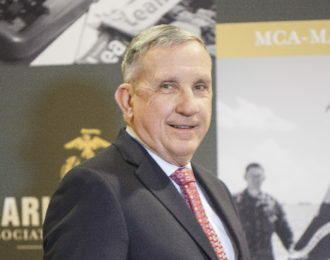 He led the Marine Corps Capstone Logistics Modernization Effort, a flagship enterprise regarded by military and industry organizations as a model for transformation. After the September 11, 2001 attacks, Colonel Love served as the Officer in Charge of the Reconstitution Liaison Support Team (RLST) and deployed to Kuwait/Iraq in support of Operation Iraqi Freedom (OIF). Upon his return, he was assigned as the Senior Logistics Advisor, Marine Corps Combat Development Command. After retiring, Mr. Love served as the Deputy Director for the Assistant Deputy Under Secretary of Defense (Logistics Systems Management), supporting major logistics system modernization efforts. IDB’s Executive Fellows Program is a unique opportunity for selected retired senior leaders from the DoD, the Department of Homeland Security, and the military services to share their knowledge and experience with participants in the IDB’s educational programs. Mr. Love’s tenure was for the 2015 – 2016 academic year. Mr. Love holds a bachelor’s degree in Business Administration, a Master’s Degree in Management and a Master’s Degree in National Security and Strategic Studies and is a graduate of the Marine Corps Command and Staff College and the Armed Forces Staff College. He is the recipient of eleven personal awards for outstanding performance of duties and has received the Federal Executive Association Outstanding Officer Award for superior leadership and management abilities. Mr. Love has been designated a Professional Logistician by the Air Force Institute of Technology (AFIT). He and his wife, Helaine, have three adult children, Dr. Andrew Love, Ms. Genna Love (CPA), and Lieutenant William Love, USN. 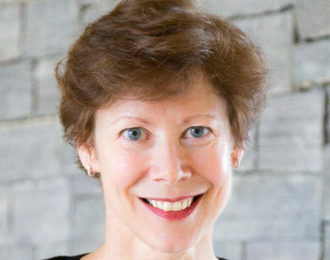 Colonel Emily Elder Swain was commissioned a Second Lieutenant in 1987, upon graduating from the University of Pennsylvania with a Bachelor of Arts in English. After completing the Motor Transport Officer Course, 2nd Lieutenant Elder received orders to 9th Motor Transport Battalion on Okinawa, Japan where she served as a platoon commander, detachment commander and company executive officer from 1989 to 1990. Subsequently, she reported to the Marine Wing Support Group-47 Operations section, to train reserve Marines. In 1994, Captain Elder was assigned to 7th Motor Transport Battalion as the Bravo Company Commander, Battalion S-4 and as an Action Officer in the 1st Force Service Support Group G-3. After completing Amphibious Warfare School, she reported to Headquarters, Marine Corps (Installations & Logistics) as the Motor Transport Occupational Field Sponsor. Major Elder was selected to attend Command and Staff College, earning a Masters of Military Science degree, before transferring to the III Marine Expeditionary Force G-4 (Plans) office in Okinawa, JA. In 2002, she reported to the 1st Force Service Support Group G-3 (Plans) but was quickly reassigned as the Operations Officer for Combat Service Support Battalion-18, a task-organized unit formed to support Operation Iraqi Freedom. Upon redeployment, Major Elder became the Headquarters & Service Battalion Executive Officer, returning to Iraq for OIF II as the (Acting) Commander of Headquarters & Service Battalion at Camp Taqqadam. LtCol Elder subsequently became the Combat Service Support Group-11 Executive Officer as the FSSG transitioned to Marine Logistics Group. LtCol Elder returned to Headquarters, Marine Corps in 2005 as the Section Head of MMOA-3, Officer Plans & Programs, and in 2008 was assigned to Programs and Resources as a Manpower & Infrastructure Analyst. Colonel Swain reported to the Navy Secretariat in 2009 as the Marine Aide to the Assistant Secretary of the Navy for Manpower & Reserve Affairs. In July 2011, Colonel Swain assumed duties as the AC/S G-4 of MARCENT (Forward). Returning from Bahrain, Col Swain served as the Marine Corps National Account Manager at the Defense Logistics Agency Headquarters. Colonel Swain finished her 30 year career as the Inspector General of Marine Corps Base, Quantico.